Our dental team members all share a commitment to our patients and to our warm, welcoming atmosphere. Our dental team members all share a commitment to our patients and to our warm, welcoming atmosphere. We love working together to bring top quality care to you! Our highly-trained dental team provides Rochford Family Dental’s patients with excellent care, by dedicating themselves to personal excellence through ongoing training and professional practice. Get to know our friendly and knowledgeable staff! A graduate of UPEI and Dalhousie School of Dentistry, Dr. Kim Soloman is a native of Souris and has also practiced in Montague and Crapaud. 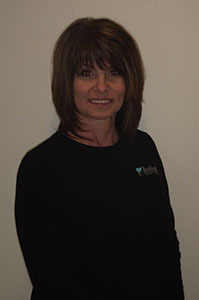 She has operated Rochford Family Dental since 2010. While at Dalhousie, she received the prestigious American Academy of Periodontology Award. She has continued her commitment to dental education by training in orthodontics, Invisalign, sleep medicine/dentistry, nitrous oxide and oral sedation as well as training at institutions such as the Las Vegas Institute for Advanced Dental Esthetics and Neuromuscular Dentistry and the University of Toronto for periodontal surgery. Dr. Soloman now lives in Stratford with her husband and three children, where she enjoys spending family time in the outdoors and relaxing with a good book. Dr. Soloman takes pride in the commitment to learning that exemplifies Rochford Family Dental and leads by example by investing time into continuing education for herself and her staff. Staying up to date with new information, equipment, and techniques helps her to offer a more positive and results-oriented experience for her patients. Dr. Nantes joined Rochford Family Dental in 2013 and became a partner in 2015. A native of Kelly’s Cross, Dr. Nantes currently lives in East Royalty and is a graduate of UPEI and the Doctor of Dental Medicine program at McGill University in Montreal. Dr. Nantes is dedicated to continuing education and has trained in such areas as nitrous oxide/oral sedation, esthetic dentistry, sleep dentistry, and Invisalign. 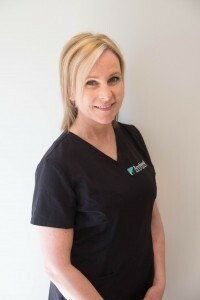 She is focused on providing top quality treatment for her patients and making certain they understand the importance of oral health and its connection to their overall health and well-being. 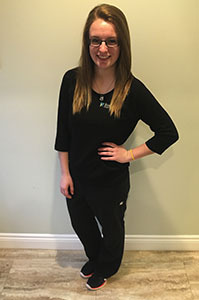 We were pleased to welcome Emily to Rochford Family Dental in June 2014, very soon after she completed the Dental Assistant program at Holland College. Emily had long had an interest in teeth and had always wanted to work in the dental field. 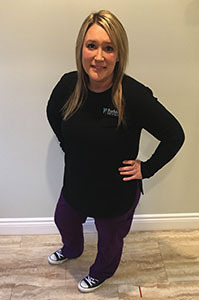 This comes across in both her dental assisting work and at our front desk, where you often see her greeting patients, scheduling appointments, and helping to run a smooth operation! When she’s not at work Emily loves spending time outdoors with her little girl. 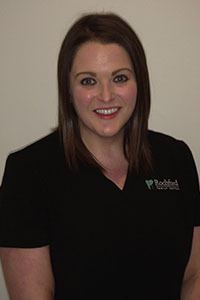 Emily loves working with what she feels is a great group of people at Rochford Family Dental. She says that staff are here to serve patients’ needs and she’s happy to be part of that environment. She’s eager to welcome you to Rochford Family Dental! 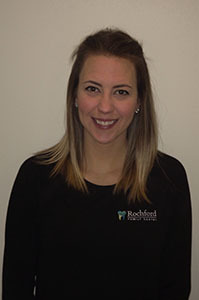 Lana has been a member of the Rochford Family Dental team since 2017. A graduate of St. Peter’s District High School, Lana also holds a stenographer’s certificate. Lana grew up in Cape Breton and has two sons and two granddaughters still living there. Lana enjoys the company of her significant other and two cats. In her spare time, she enjoys camping, walking, snowshoeing, knitting, crocheting, and going to the gym. Roberta offers a great experience in her role, as both as graduate of the Dalhousie University Dental Hygiene program and also previously as a Dental Assistant for four years. She also has additional training in Ultrasonic Instrumentation and Local Anesthetic from UBC. Roberta grew up in Kinkora, PEI and spent several years working in BC before moving back to be closer to her family and enjoy the PEI beaches in the summer. She now calls Stratford home, where she loves to spend her spare time with her daughter and friends. The outdoors calls her in all season to stay active especially to jog, snowshoe, and snowboard! Jessica has been intrigued by every aspect of the dental profession since wiggling out her first baby tooth many years ago! She began her career training at UPEI where she completed her Bachelor of Science with a major in Chemistry and a minor in Biology, in 2014. She then attended Oulton College in Moncton, earning a Dental Hygiene Diploma in 2016, and completing additional training in Local Anesthetic and Self-Initiation for Dental Hygienists. She was awarded the Hu-Friedy Clinical Excellence Award at Oulton College. 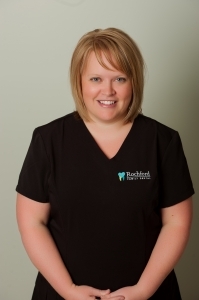 Jessica is dedicated to providing a comfortable and enjoyable experience for each patient. She believes that a person's smile and oral health play a significant role in their overall health and self-confidence, and is proud to play a part in helping people achieve these outcomes. Jessica grew up in rural Glenwood, in Western PEI and recently moved to Stratford. She enjoys beach walks, kayaking, snowboarding, and spending time with her family and friends. Growing up in Summerside, Chelsey was always interested in dentistry. She pursued that interest by becoming a Dental Assistant, training at Holland College in Charlottetown. We were happy to welcome her to Rochford Family Dental in 2012. 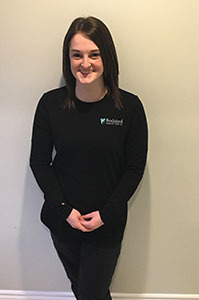 Chelsey is a great multitasker, not only carrying out dental assisting duties but also frequently covering the reception desk at our clinic as well. She enjoys the continuing education opportunities offered to staff at Rochford Family Dental and feels that the many courses and additional training undertaken by the team help to make patients’ experiences more positive. She has had special training at the Las Vegas Institute for Advanced Dental Esthetics and Neuromuscular Dentistry, and in Invisalign and Sleep Dentistry. In her spare time Chelsey likes to read and to spend time with friends and family, especially her nieces and nephews! Emma completed her Dental Assistant training at Holland College in January 2016 and immediately joined Rochford Family Dental. She chose a career in the dental field because she loves the opportunity to help make a difference in peoples' lives, starting with their smiles. A native of Hunter River, Emma is also the head of Women's Field Lacrosse for PEI. In addition, she enjoys longboarding, music, cooking, and of course those PEI beaches! Emma wants people to know that we have friendly and accommodating staff in a beautiful office setting in Old Charlottetown. 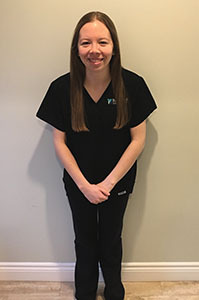 Korianna Wigmore graduated from Holland College in 2013 with her diploma in Dental Assisting and joined Rochford Family Dental in December 2017. Korianna loves taking care of her patients, helping them feel at ease and confident in the care they’re receiving. Born in Summerside, Korianna spent her early years in Charlottetown before moving to Nova Scotia at age 6. She moved back home at age 18 to pursue her dream of living and working on the Gentle Island, and raising a family here. Korianna is now living that dream, happily married with a one year old son and a cat. She enjoys traveling, painting, spending time with family, being outdoors, and being a Mom.